We are all concerned by the environmental threats facing us today. Environmental issues are a major area of concern for policy makers, industrialists and public groups of many different kinds. While science seems central to our understanding of such threats, the statements of scientists are increasingly open to challenge in this area. Meanwhile, citizens may find themselves labelled as `ignorant' in environmental matters. 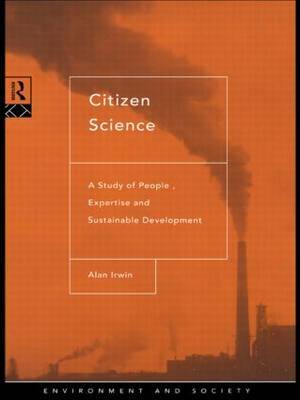 In Citizen Science Alan Irwin provides a much needed route through the fraught relationship between science, the public and the environmental threat.